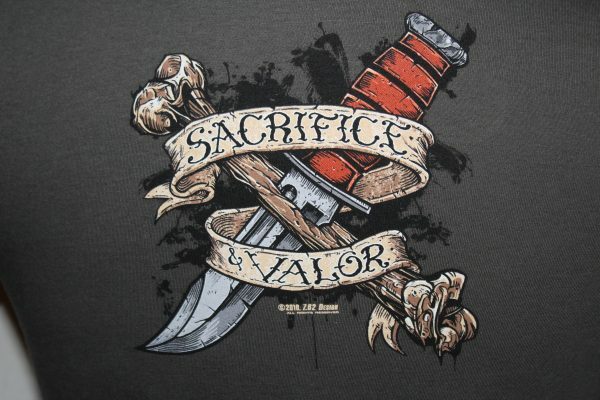 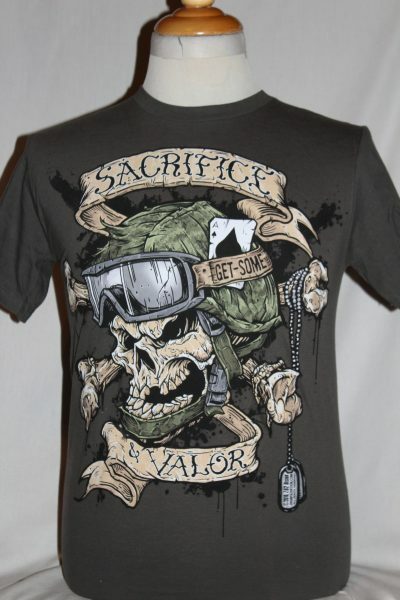 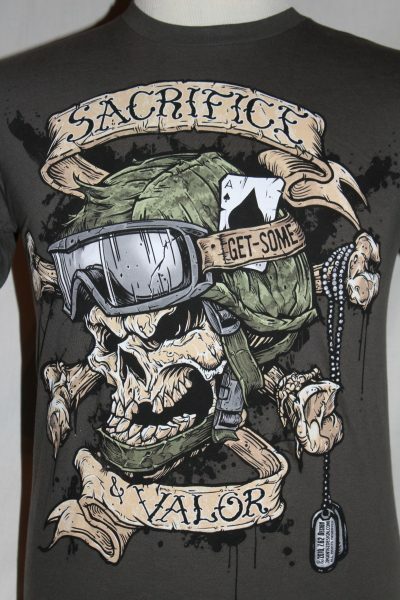 The Sacrifice & Valor T-Shirt is a two sided print in military green. Front Design: Skull in military helmet, crossed bones, dog tags, and text. 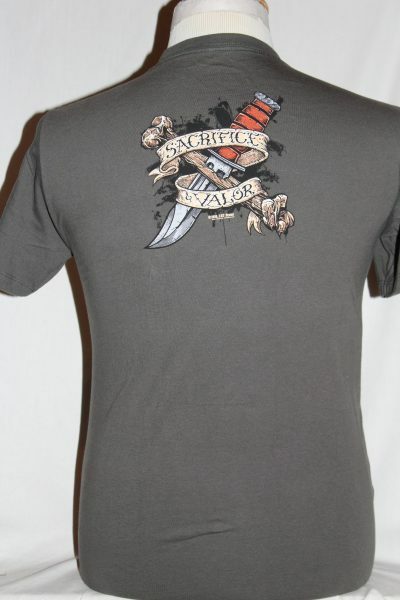 Back Design: Smaller image on upper back.